The Rhode Island Red is an American Breed of domestic chicken. 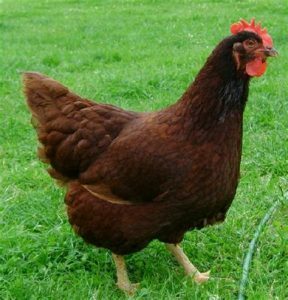 It was developed in the late nineteenth century in Massachusetts and road island by cross-breeding birds of Oriental origin such as the Malay with brown Leghorn birds from Italy. 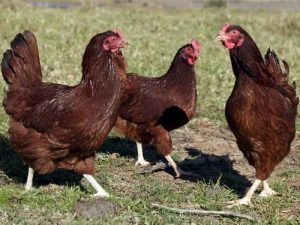 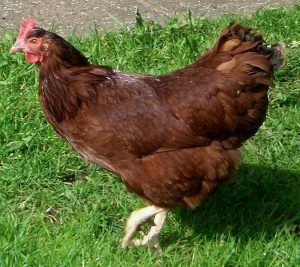 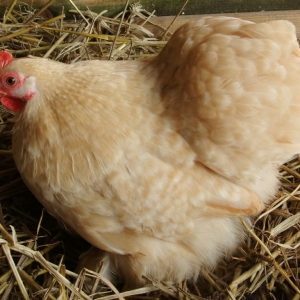 It was a dual-purpose breed, raised both for meat and for eggs; modern strains have been bred for their egg-laying abilities.